What I strive to do for my customers, friends, and the greater design community is to identify what they need to know, pinpoint what they don’t, and help them fully understand. One of the ways I do this is through a presentation I frequently present at designer events titled NWFA: Designing with Wood Floors. 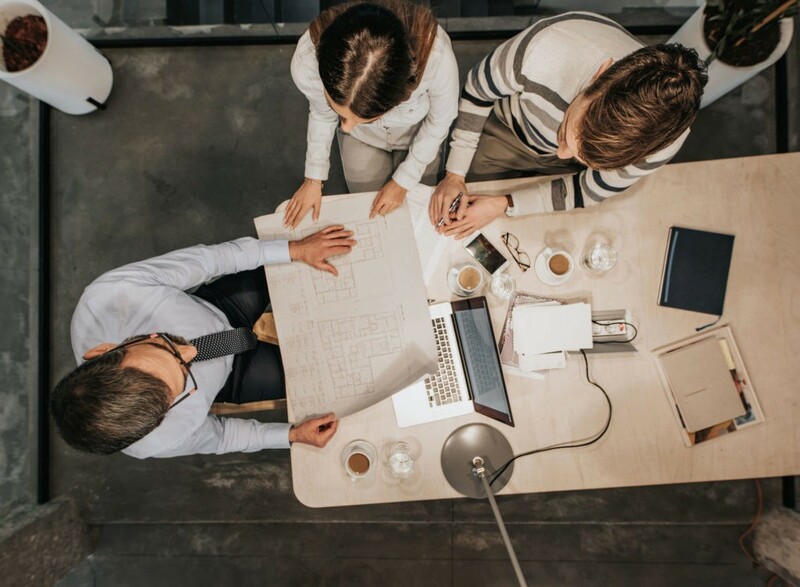 The CEU-eligible presentation analyzes the use of wood flooring as an element of design so that design professionals can become more familiar with wood floors to properly specify the product that will perform best in their clients’ projects. Being able to understand the advantages and maintenance of hardwood floors is part of growing in understanding hardwood flooring. Furthermore, it dives in deeper in helping designers understand both the history and progression of the different types and species of wood floors so that they can specify hardwood floors in the best ways. Finally, the course helps explain how cut affects both the appearance and performance of wood floors. This is where I take off my industry hat and put on my designer hat and compare hardwood in the same light as diamonds, where the cut, clarity, and color change the look and value of the materials with which you are working. Hardwood floors are an organic material that naturally responds to its environment and can change over time. It’s important that designers have realistic expectations in regards to its performance and can explain that to their clients. Historically hardwood floors were only enjoyed by royals and upper-class individuals because it required intense labor by expert craftsmen who would work on one floor for years. This is why many of the castles you might visit on a trip throughout Europe will still have the original hardwood floors intact. During our trip to Normandy, France, every interior we walked through, both modern and historical, had intricate herringbone and parquetry designed hardwood flooring. This is due to both the ease and accessibility of the smaller size of the wood used by the craftsman as well as the fact that these herringbone and parquet designs were, and still are, incredibly long-wearing if maintained properly. Currently, we have a very diversified market where we can install on a wood subfloor or concrete slab, opening up more and more homeowners to the possibility of having hardwood floors in their homes. 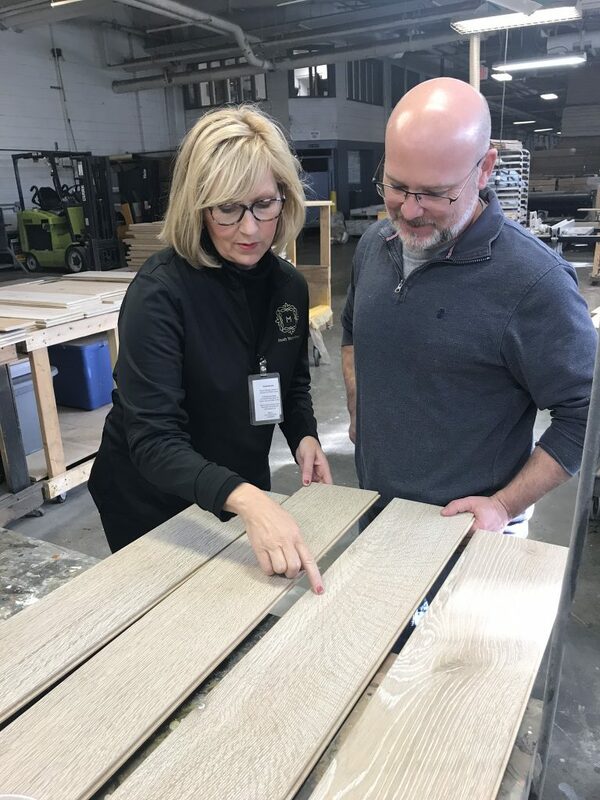 Today’s preferences are for domestic species like white oak, maple, and hickory with waterborne finishes due to increasing EPA VOC regulations. It has reached the point now where it’s expected that the products will be GreenGuard certified, and don’t be surprised for the specifier to ask about the safety of the product. The shift in the marketplace has gone from primarily solid and partially engineered to the reverse due to the versatility and dimensional stability of engineered hardwood floors. There are plusses and minuses of each, but the plusses are now stacked more strongly behind engineered. Most people want a certain look at a certain price, and engineered hardwood floors allow manufacturers to take a particular cut of hardwood that might come at a premium and make that the featured surface layer of their products. Both solid and engineered floors can be sanded and refinished, but solid offers the opportunity for more numerous times than engineered. The sandability of engineered hardwood floors depends on the thickness of the top veneer layer. Additionally, engineered can be installed above, on, or below grade. Because of its cross-ply construction, engineered floors are more dimensionally stable, allowing for installation on wood or concrete subfloors, which includes basements. What are the NEWEST Colors and HOTTEST Finishes? Beyond solid and engineered, the options shift to finishing, which includes site finished, where the finish is applied on the jobsite. The other option is factory finished, where the finish is applied at the manufacturing facility. The manufacturing environment for factory-finished products also allows for enhancements like UV lights on the finish line, as well as adding aluminum oxide for scratch-resistant surfaces. Another aspect of finishes is that the color possibilities are truly endless; there is something for everyone. The 2019 Essential Trends: Color and Style Forecast for hardwood floors was recently released in the October 2018 issue of Hardwood Floors and further details my thoughts on the colors to watch this year. Grays are still strong, taupes are on strong hence the Emily Morrow Home 2019 Color of the Year being named “Tusker Taupe” as well as gesso-plaster white effects as well as the other end of the spectrum with the luxurious deep black of “Total Eclipse” and dark chocolate “William & Mary” (pictured below). As in diamonds, the cut of hardwood dictates its appearance. In the 1800s, quartersawn was typically used due to both the fashion and function of the times. Today, many hardwood floors are made from plainsawn cut wood because it is a more efficient cut with less waste. In the design world, I frequently get requests for rift and quartered partially for its look as well as for its cache. Rift and quartered is more efficient today with minimal waste but has a longer production time, which does add to the expense of the product. 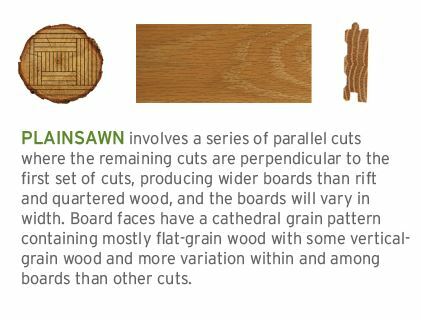 See the graphics below for additional details on how the different types of cuts affect the appearance of the wood. Emily Morrow Finkell admiring the beauty of the rift & quarter hardwood medullary rays in the newest introductions “Emily Morrow Home Hardwood Exclusively for Louis A. Dabbieri” with Michael Standridge of American OEM. The performance of hardwood floors always comes as a surprise to non-industry persons. Hardwood is hygroscopic, meaning that it absorbs or loses moisture based on the surrounding environment, swelling when it gains moisture and shrinking when it loses moisture. Hardwood is a natural material and should be desired more for its natural imperfections than for its perfections. If cared for properly and in areas that aren’t exposed to moisture, hardwood flooring can be a lifetime investment that adds not only beauty but also value to your home. It is the only flooring category that is known for adding to the value of the home rather than adding to the cost, and that’s because it’s the real thing, not a copy of a wood look. The bottom line and the sweetest part of this flooring material is that its advantages and benefits far outweigh any negatives. It adds stability and overall value to the structure, provides excellent insulation, and is durable, long-lasting, hypoallergenic, beautiful, sustainable, and timeless, creating a sense of pride and enjoyment for a life well lived.